You Think That I Would Learn! 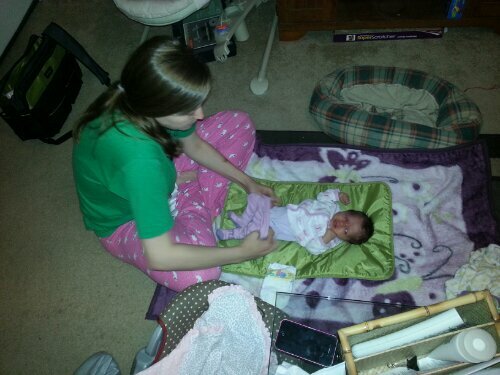 While changing baby Kay’s diaper, she decided to pee without another diaper underneath. This is not the first time that this has happened. I guess what is so frustrating about it is I let this happen to me over and over. I am curious to see how many times she does this until I learn to just put a clean diaper under her. If I don’t get this down soon Kendall is not getting a car or let alone college. Diapers are expensive and I am just throwing money down the diaper genie. Let me give you the break down. I think I will just let Mom do the changings. This entry was posted in Baby stuff and tagged diapers, Kendall DiMartino, stay at home dad. Bookmark the permalink.